where we discussed practical solutions to the growing EMF pollution problem. The following six-minute video shares some highlights of the event. The webpages that further describe these solutions can be found here and here. 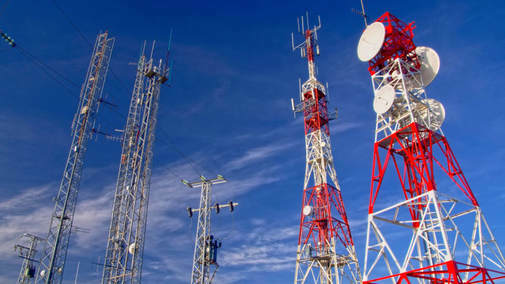 The FCC (Federal Communications Commission) is pushing to streamline the approval of 5G cell towers, overriding the little regulation that exists to legalize use of experimental high frequencies without extensive safety testing. 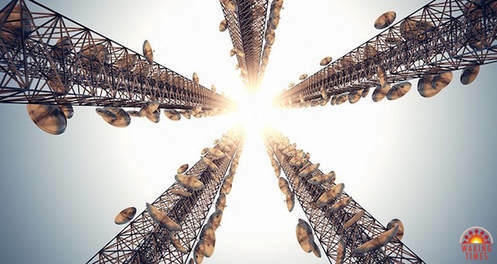 Untested frequencies in the range of 28 gigahertz to 100 Ghz or more are set to be deployed all around us without our consent, emanating from an even greater number of new, smaller cell towers. “To make this work, the 5G buildout is going to be very infrastructure intensive, requiring massive deployment of small cells.” ~Tom Wheeler, Former FCC Chairman and corporate lobbyist. Some are talking about using even higher frequencies, in the terahertz range, much higher than previous networks. “US FCC wants to “streamline” the approval process for DAS (Distributed Antenna System) 4G/5G ubiquitous cell towers by exempting them from the 1996 Telecommunications Act! If such efforts succeed, millions of small cell towers (on existing light poles/utility poles, or new ones) will be deployed everywhere, throughout residential neighborhoods. “In essence, 5G will be the mobile networks, often referred to as cell phone towers, that power wireless technology. But get this: As we’re expected to start shifting toward 5G technology around the early 2020s, Federal Communications Commission Chairman Tom Wheeler says we can expect to see a lot more of those mobile towers. So while we may enjoy anywhere from 10 to 50 times faster connection speeds that help fuel better data consumption, we may in return get millions of new cell phone towers on our street corners. (Our current 4G LTE technology relies on about 200,000 cell phone towers around the U.S.) But 5G needs a much denser network, meaning many more cell towers of all sizes all over the place. (3) The fact that these things have never been proven safe — and that worrisome science is cropping up around wireless technology — is cause for concern. And it seems this 5G plan is full speed ahead. On July 14, 2016, the FCC voted to approve Spectrum Frontiers, making the U.S. the first country in the world to open up higher-frequency millimeter wave spectrum for the development of 5G fifth-generation wireless cellular technology. Environmental Health Trust is voicing concerns because health, safety and environmental evaluations to understand the impact on humans, wildlife and the environment have not been done. For background on 5G, watch this video from Take Back Your Power, featuring Tom Wheeler, Former FCC Chairman and corporate lobbyist, who delivers a rather intimidating and presumptuous speech praising this new technology. But what about the people already suffering with symptoms of EMF radiation from wifi, smart phones, smart meters, and newer vehicles? The dangers of certain new technologies, as is the case with some biotech and toxic foods, represent a much more insidious reality: cancer causing, body disrupting frequencies. The attitude of such technological innovators is perfectly represented in by Tom Wheeler’s statements, pushing for American exceptionalism, demanding 5G deployment as soon as possible with little to no testing of the effects on human beings or the natural environment. He says billions of dollars are ‘damn important,’ with the part mentioning billions of dollars mysteriously absent from the speech’s official transcsript. At events like this, people reasonably approaching the notion of danger are ostracized, while lobbyists like Tom Wheeler condescendingly say things like “talk to the medical people,” in response to genuine concerns. The FCC is just like the FDA, CDC, NIH, or EPA: regulatory bodies in bed with the very corporations they claims to be regulating. Companies such as IBM, Verizon and AT&T often wield greater power than government, often working directly with government to create their own rules. The book, Captured Agency: How the Federal Communications Commission Is Dominated by the Industries It Presumably Regulates, explains this works. For a deeper insight into the mainstream narrative of the splendors of cell technologies , this video is a sales pitch for the road 1G to 5G. We’re already being steered in this direction, forced into a future of smart devices and the internet of things, and it could get so much worse from here. How many rising illnesses, how many symptoms, how many cases of salivary gland cancer, brain cancer, and EMF hypersensitivity will we discover along the way? As Kevin Mottus said in the above video from Take Back Your Power, we need to fight this with much more persistence. as well as info on what you can do to protect yourself. “Below is what I call my List of Irrefutability"